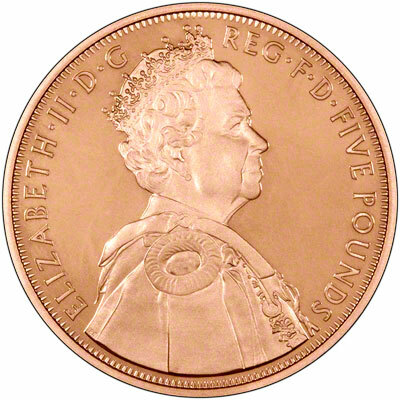 In 2012 The Royal Mint will issue at least one commemorative £5 gold crown. 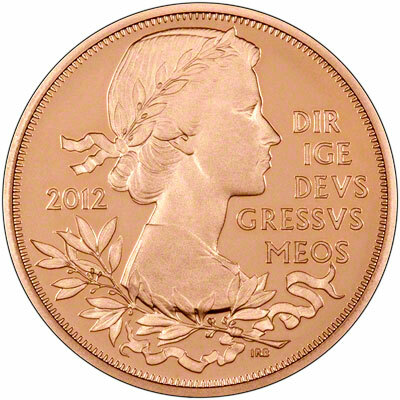 There will be a £5 gold crown to celebrate the Diamond Jubilee of Queen Elizabeth II. The Queen's Diamond Jubilee next year - only the second such Jubilee in Britain�s long history - will be a truly historic milestone in the life of the nation. To celebrate this grand royal occasion, the Royal Mint has struck a beautiful new �5 coin with two new portraits of Her Majesty spanning her long reign. It is the first coin ever struck to commemorate a Diamond Jubilee - there were no special coins for Queen Victoria�s Diamond Jubilee in 1887 - and is certainly worthy of the occasion. Following the precedent followed in recent years, there are multiple versions of these coins. These include base metal versions in cupro-nickel which should be available at banks and post offices, specimen versions in folder, proof versions issued with proof coin sets, silver proofs, and gold proof version. There may also be other variations, such as piedforts, or platinum issues. There is a historical difference between gold crowns and gold five pound coins. Crowns were originally five shillings pieces worth a quarter of a pound, and five pound coins were, as their name tells, worth five pounds face value. The first British crowns were gold coins issued in 1544, and the first silver crowns were issued in 1551. It was not until 1990 that the Royal Mint re-tariffed the crown, which was by then a silvery coloured cupro-nickel coin, from five shillings to five pounds. When compared to the Royal Mint price of £2,400.00 you will make a saving of £405.00 per item when ordering from us. 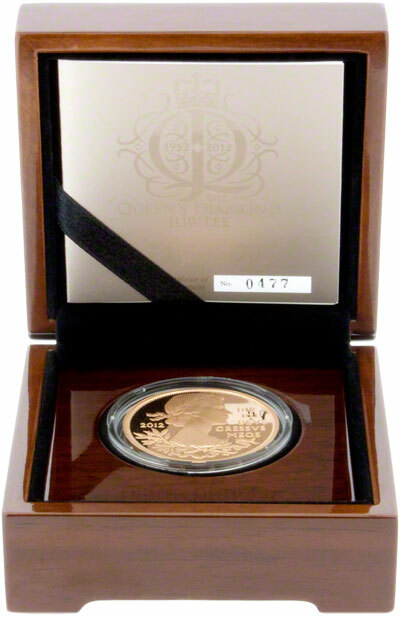 To celebrate Queen Elizabeth II's Diamond Jubilee on the 5th June 2012, the Perth Mint have produced a one kilo gold proof coin.